Hearts and Trees Tints and Shades Video Tutorial. You can view this week’s selection here: The Greedy, 1901. Send in your sketches by July 30, 2018 to have them included in the Sketch Tuesday slideshow. Note I will be collecting all of July’s Sketch Tuesday assignments and posting them into one big slideshow at the end of the month. 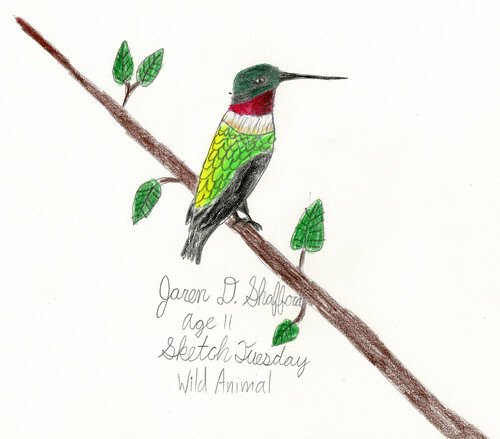 Here is this week’s slideshow: Sketch a wild animal. All sketchers are welcome and there is no need to sign up. Send in your sketches in jpg format and mail them to: [email protected] by Monday, July 30, 2018 and I will include them in Tuesday’s slideshow. Complete instructions are found by clicking the Sketch Tuesday tab at HarmonyFineArts.com. Here is our next musical selection to listen to this week. Franz Schubert – Symphony No. 6 in C Major (Little) from 1818. Wondering what is going on here for the summer? Link here to my summer plans for Sketch Tuesday and Music Monday. Sketch Tuesday assignment: Sketch a wild animal. You can view this week’s selection here: Peaceable Kingdom, 1834. Send in your sketches by July 2, 2018 to have them included in the Sketch Tuesday slideshow. 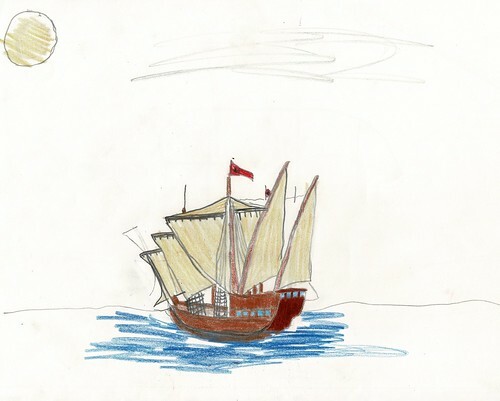 Here is this week’s slideshow: Sketch something that floats. All sketchers are welcome and there is no need to sign up. Send in your sketches in jpg format and mail them to: [email protected] by Monday, July 2, 2018 and I will include them in Tuesday’s slideshow. Complete instructions are found by clicking the Sketch Tuesday tab at HarmonyFineArts.com. There seems to be some confusion about the slideshows. There was no cat slideshow last week because I was out of town. I noted that in the original assignment post. The tea assignment was to have had a slideshow but I did not receive any sketches, perhaps because I wasn’t clear or you all are out enjoying your summer breaks. Either way, it is all good. If you want to send in a sketch this week (something that floats), I will be creating a slideshow if I receive any sketches. Here is a link to more information about the summer assignments here on Harmony Fine Arts: Summer 2018 Plans. Thanks for your patience and your understanding as we work through the summer! Lady of Shalott, 1888. John William Waterhouse. Sketch Tuesday assignment: Sketch something that floats. You can view this week’s selection here: Lady of Shalott. Send in your sketches by June 25, 2018 to have them included in the Sketch Tuesday slideshow. All sketchers are welcome and there is no need to sign up. Send in your sketches in jpg format and mail them to: [email protected] by Monday, June 25, 2018 and I will include them in Tuesday’s slideshow. Complete instructions are found by clicking the Sketch Tuesday tab at HarmonyFineArts.com. Extra activity: Art Question Cards – Help with Picture Study. Use the printable page in this entry to help you take a closer look at this week’s painting. How about something a little different this week to listen to while you sketch? Do you like the sound of the harpsichord?